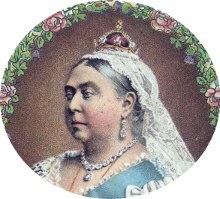 Queen Victoria's Diamond Jubilee and the beginning of a new century coincided with a spate of beautifully printed commemorative packs. 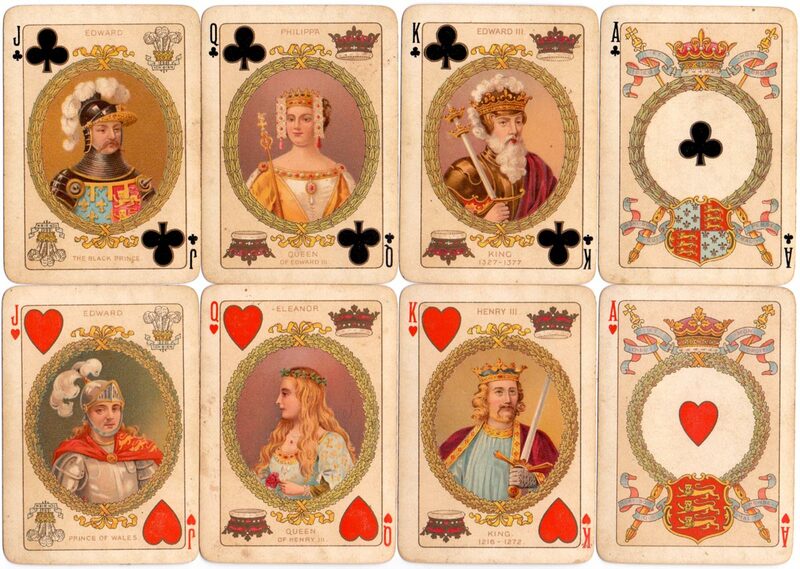 By this time Goodall & Son was producing a substantial output of ornate and colourful cards and back designs, printed mainly by chromolithography using up to 12 separate colours. Equally colourful ranges of calendars and almanacs appeared, as well as Christmas and New Year greetings cards. Advertising packs were also becoming more popular. The year 1897 was packed with public spectacle designed to stir the imagination and generate pride. There was dazzling pageantry. The reverse of the commemorative playing cards shows the portrait of Queen Victoria by Bassano along with the legends Victoria and 1837-1897. 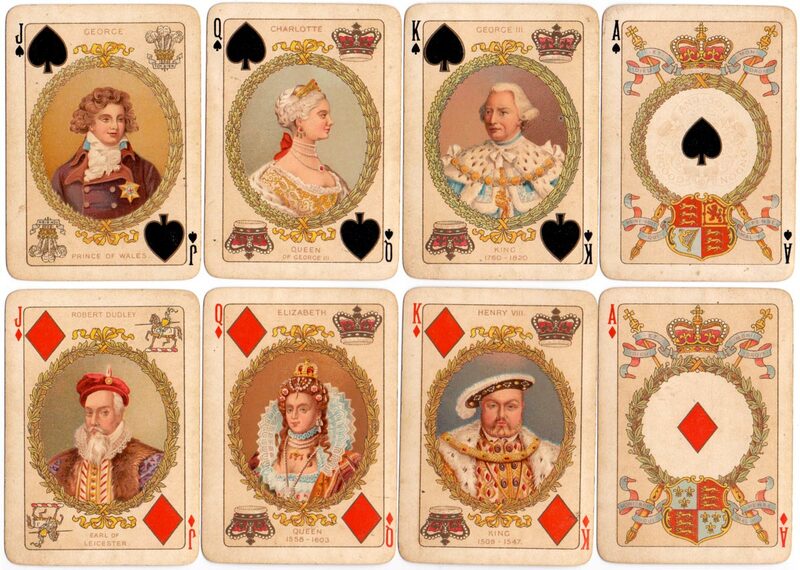 Above: playing cards commemorating Queen Victoria's Diamond Jubilee, manufactured by Chas Goodall & Son, 1897.